Brumby's bread is preservative free and hand baked daily and we would like you to try it. 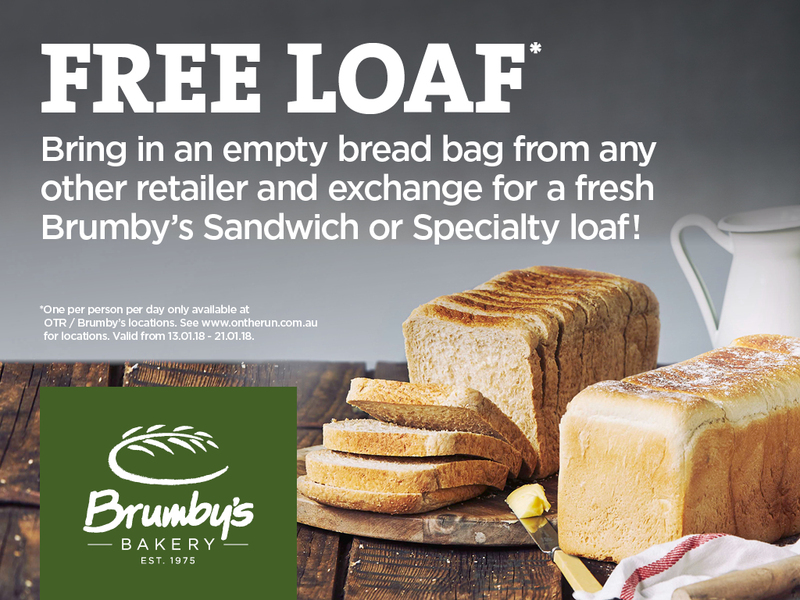 Simple visit one of our 19 Brumby's store (inside OTR), bring in an empty bread bag and this link and receive a FREE Sandwich or Speciality loaf. One per person per day only available at OTR / Brumby’s location. Valid Until 21 January 2018 or until stocks last.